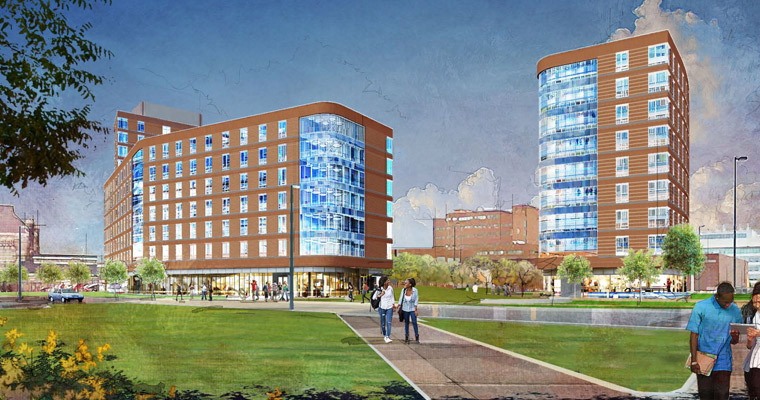 Description: Slated to open September 2018, the new 1,000-bed residence hall is the first on-campus student housing in the entire UMass system. At $120M, this 260,000 sf project consists of one 8-story and one 12-story tower. Catering primarily to first-years and transfer student, the opening of the residence hall marks a major milestone for the university. Scope of Work: Fenagh is currently conducting various testing and inspection services for the development project including concrete sampling, rebar inspection, structural steel and welding inspection, masonry inspection, and fireproofing/ firestopping testing and inspections.